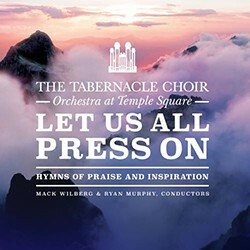 The recently renamed Tabernacle Choir at Temple Square (formerly the Mormon Tabernacle Choir) has released their inaugural album. The 14-track album titled Let Us All Press On: Hymns of Praise and Inspiration is the first full-length album of hymns recorded by the choir in almost seven years. Some of the tracks on the album include beloved classics like “All Creatures of Our God and King,” “More Holiness Give Me,” “Lord, I Would Follow Thee,” and “Press Forward Saints.” The album also contains the hymn “Our Prayer to Thee,” which was penned by President Russell M. Nelson in 2003, almost 15 years before becoming the 17th president of The Church of Jesus Christ of Latter-day Saints (often mistakenly referred to as the “Mormon Church). The hymn was matched to a tune by composer Joseph Parry and it was first performed as a hymn in April 2003 at general conference. President Nelson attended the recording session in May 2018 when the hymn was being recorded for the album and addressed the choir following the recording. In a news release issued on Thursday, 21 March 2019, officials reported that Let Us Press Forward: Hymns of Praise and Adoration hit No. 1 on Billboard’s Classical Traditional chart, marking the 13th time that an album from “America’s Choir” has earned the honor. 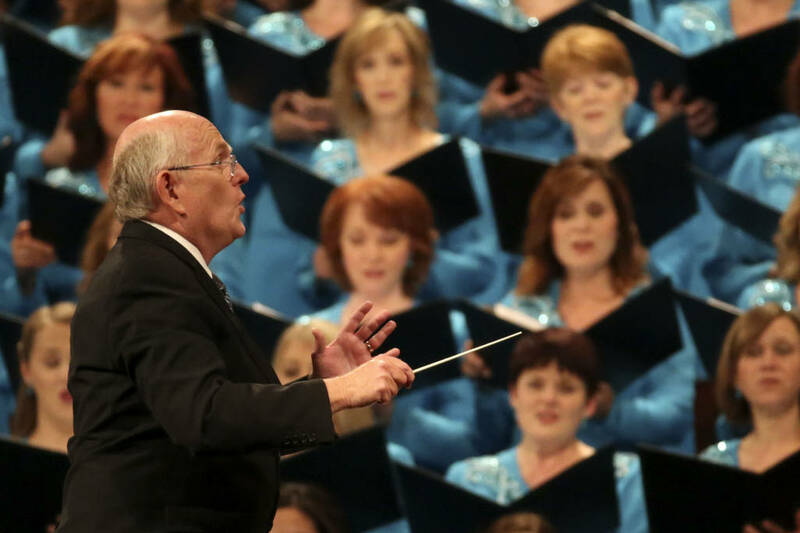 According to LDS Living.com, the Tabernacle Choir celebrated the release of the album by recently holding a contest where four winners (two men and two women) were chosen to sing with the Choir during a run-through of Music and the Spoken Word on 14 April 2019. Let Us All Press On: Hymns of Praise and Inspiration can be purchased on iTunes, Amazon, and DeseretBook.com.